Online Gardening Books - Learn Rose Gardening, Lawn Care Help, and More! Our Easy Book Series is written for you, the home gardener. These online gardening books are brimming with easy to follow, step-by-steps guides about gardening flowers plants & trees... the right way! Easy Lawn Care is your complete lawn care program! And there's much more inside. Great charts and diagrams ensure that you'll know exactly what to do, and when to do it. Our goal is to help you have the most beautiful, vibrant lawn ever, plus help you avoid costly mistakes. 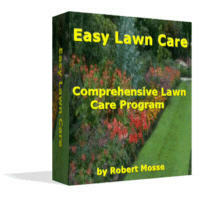 Find out more about our gardening ebook, Easy Lawn Care. It's time to take the worry and toil out of growing roses. Most online gardening books are simply too hard to follow, or don't go into the important steps that we do. Showing your roses - it's fun, and you'll learn a lot! There's much more inside, all clearly presented so your rose garden will succeed. Learn rose gardening and enjoy your roses... don't dread them! 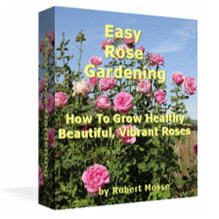 Find out more about our gardening ebook, Easy Rose Gardening. We think you'll agree, our online gardening books are a fabulous bargain... and you'll see remarkable results. Each of our online gardening books are instantly downloadable so you can be on your way to a truly fabulous home landscape. Remember to sign up for our popular guide about problems that commonly affect lawns, vegetables, trees and garden flowers. Stay tuned for more great online gardening books to add to your EZ Book Series Collection!